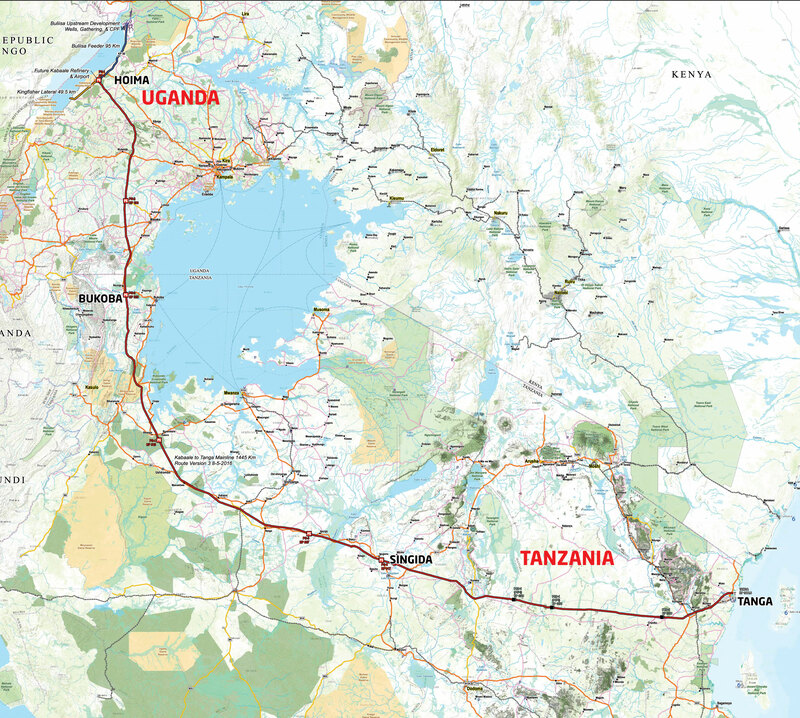 The selected route begins in Kabaale – Hoima, in Uganda and extends south to the Chongoleani Peninsula near Tanga Port in Tanzania. The pipeline route was selected by the Government of Uganda as the least cost and most robust. The pipeline will start near Hoima, close to Lake Albert, and will cross the Uganda – Tanzania border between Masaka and Bukoba, past Lake Victoria, following its western border, traversing Tanzania, passing close to Kahama, Singida, Kondoa, into Tanga. In Uganda, the pipeline, 296km long, will traverse 10 districts and 25 sub-counties. In Tanzania, the pipeline, 1,147km long will traverse 8 regions and 25 districts.